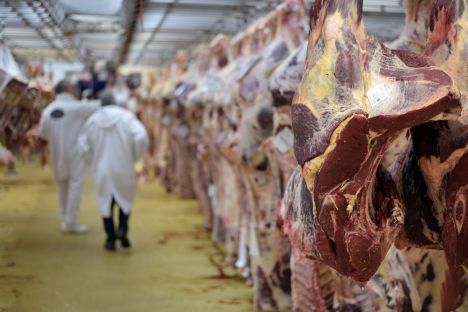 In the sick cow scandal in that involved over 2 500 kilograms of beef from allegedly unwell cows in Poland being exported to a dozen of countries, investigations have been launched by Poland and officials of the European Union. AP news agency reported that visit of EU inspectors followed an investigative report by private broadcaster TVN, which included video footage recorded undercover that showed lame or diseased cows being killed at night near the northeastern town of Ostrow Mazowiecka. Also, a veterinarian was not present at the slaughterhouse, which is a must under Polish law. Polish prosecutors have opened an investigation and the Polish veterinary inspectorate stripped the slaughterhouse of permission to operate . However, the country’s top agriculture and veterinary officials stated on Monday that tests found no signs of disease or danger to consumers and insisted some 9.5 tons of meat were pulled from the market only as a precaution.